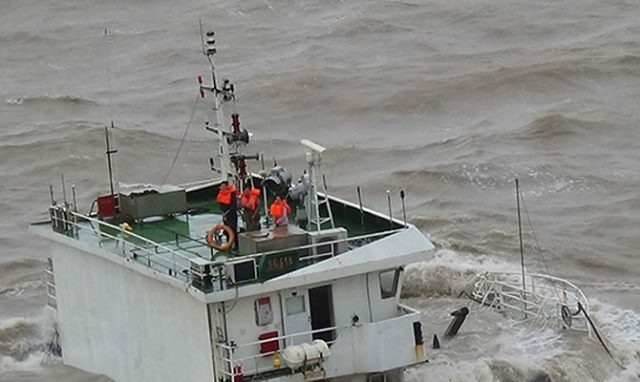 On April 24, the 106 meter long cargo vessel Shen Song 618 sank on the Yangtze River. The cargo vessel sank quickly on an even keel with the wheelhouse remaining above water. Three crew were caught below decks and drown. Three others were able to make it to the roof the upper bridge and were later lifted to safety when a helicopter arrived on scene. No further details reported. 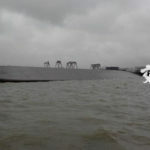 On July 9, the 190 meter long bulk carrier Tian Sheng 18 allided with the 90 meter long, 4172 dwt tanker Shuang Long Hai on the Yangtze River at Changzhou, China. 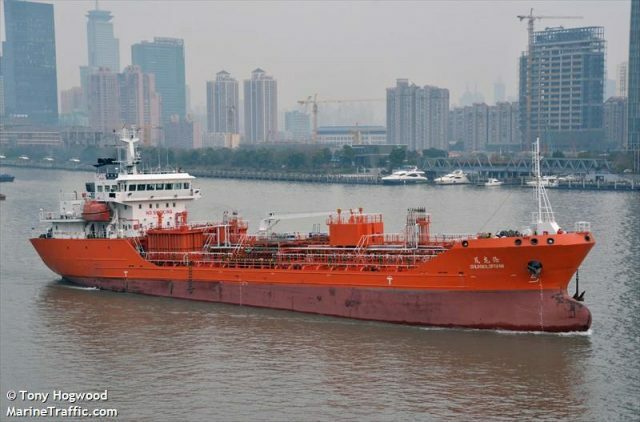 The Shuang Long Hai suffered a hull breach and broken cargo pipe resulting in a fire on board the tanker. All 15 crew on board the tanker were able to escape. Fire fighters were able to extinguish the blaze by the following day. Authorities placed booms around the tanker to contain any pollution released. 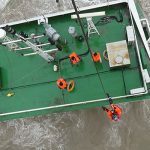 On October 22, the 190 meter long cargo vessel Xin Zhou 18 collided with the 69 meter long cargo vessel Long Hao 1 on the Yangtze River near Zhenjiang, China. 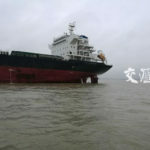 The Xin Zhou 18 was proceeding to Caofeidan from Zhenjiang in ballast when it struck the Long Hao 1 which was loaded with 2700 tons of sand. 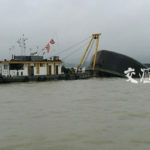 The Long Hao 1 capsized and rolled over after the collision. 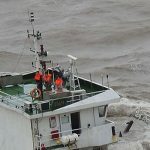 Reports state 3 crew of the Long Hao 1 were later rescued by a nearby fishing vessel. Authorities have launched an investigation into the incident. 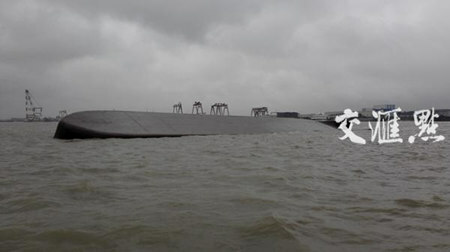 Salvage of the Long Hao 1 was reported to have started.